It was a sad day last September when Jonathan Ory announced that he was closing up Bad Wolf Coffee, his Lakeview bakery that sold, among other things, the best kouign amann in Chicago, and moving to Charleston, South Carolina. Fortunately, Val Taylor, who worked with Ory during his last six months at Bad Wolf, has stepped in to fill the void. 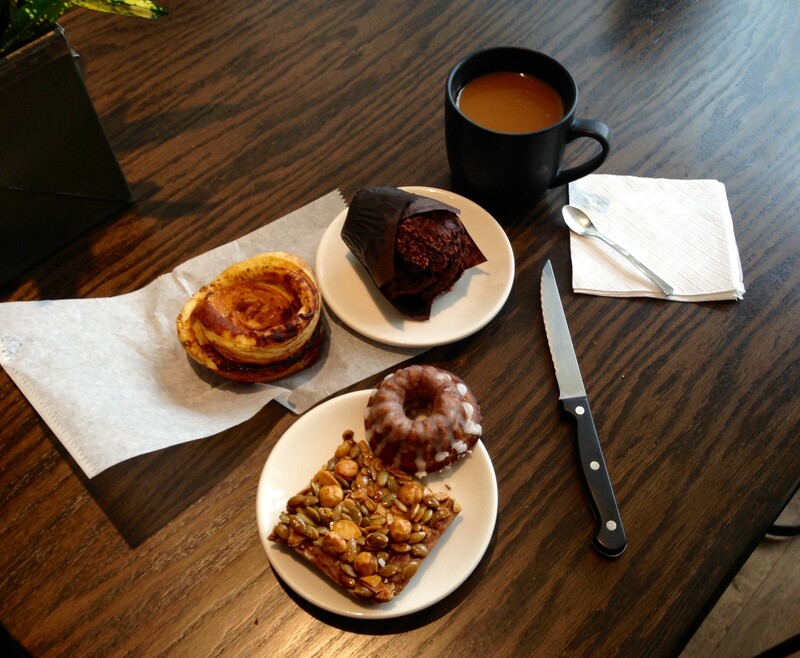 Coffee and pastry at Loba (clockwise from left): ham and cheese kouign amann, chocolate cardamom muffin, Robbie, pepita crunch bar. 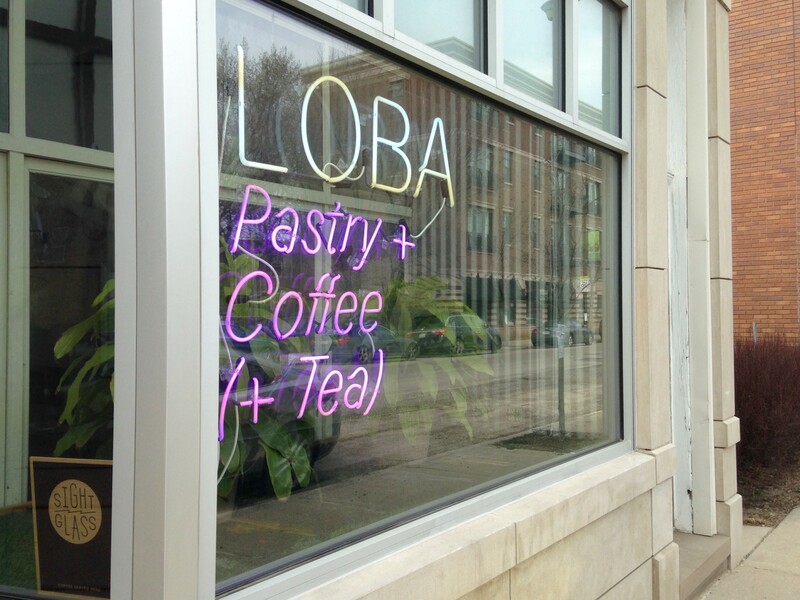 As its name implies, Loba Pastry + Coffee is not Bad Wolf Part II, but rather its own entity, with some of the same DNA. The coffee, from Sightglass and Supersonic, two California roasters, is still excellent. (You can get it hot as a standard drip or pour-over, or cold Kyoto-style.) And there is still kouign amann! Taylor fills hers with ham and cheese, a twist on the Monte Cristo sandwich. It seems almost sacrilegious to mess with the perfection that is kouign amann, but the savory element works surprisingly well. You could even tell yourself that it's lunch. Taylor's other specialty is the Robbie, a miniature bundt cake made with buckwheat flour and covered in orange-blossom glaze. It's tasty, but I preferred the rich and spicy chocolate-cardamom muffin. Other notable departures from Bad Wolf: there's sugar and cream for your coffee, and you can actually sit down. And there is WiFi. This is like an invitation to spend the entire day at Loba, waiting to see what Taylor pulls out of the oven next. Andersonville is once again home to a happy place for pastry. Bad Wolf Coffee's Jonathan Ory makes beautiful pastries, but his shop's about more than that.